"Maybe it is better if this house stays a secret so nobody can claim it before we do again... ;) It is just wonderful, the view is breathtaking, the swimspot nearby just gorgeous. We had an unforgetable holiday. There is the road in front, which is noisy, but that doesn''t matter that much to us. Also the fact that good bakeries, a supermarket and restaurants and other beaches are at walking distance is so nice. We highly reccomend this freshly painted, cosy and well furnished house at the clear sea of the Paradise Coast. The owners are sweet too." 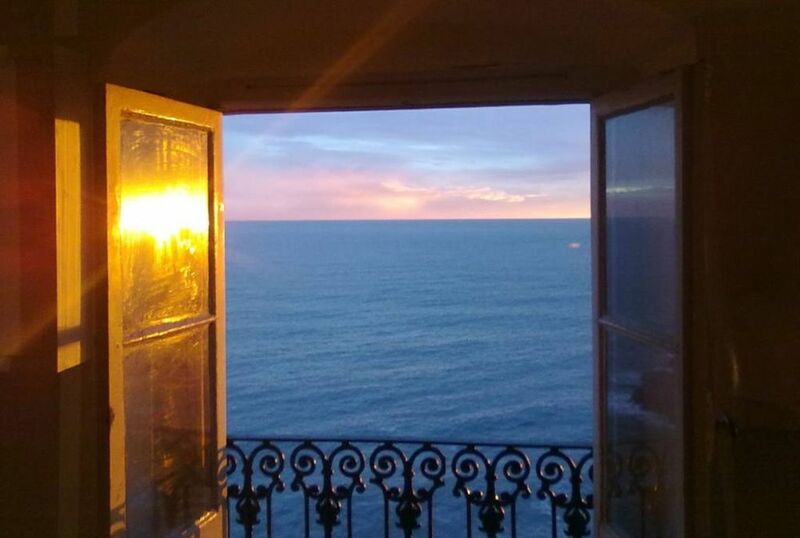 "Very nice apartment with a terrace with a wonderful view (the sea, boats, etc). The flat is very cosy furnished. There''s a supermarket and a bus-stop nearby so it''s easy to go to the wonderful city Genova. The owners are friendly and helpful. Only one small disadvantage: the terrace is a bit noisy during the day because of the road nearby. Nevertheless I highly recommend the place."